“Provocative! The sections on the mental and emotional bodies and the four elements of energy are powerful stimulators. The five energy traps and the conditions that trigger them resonate. There is a nucleus here. A transforming undercurrent. On its own The Confidence Factor may not change your life, but it can change the way you think about living in a positive, confident, productive way. Well done Linda. You hit the spot!” George Napier – Chairman & CEO Prince Sports, Inc.
We are happy to announce that The Confidence Factor has arrived! Many of you have been asking us when it would be available for purchase. Thank you so much for your enthusiasm and for your patience. If you pre-ordered The Confidence Factor, your autographed copy is in the mail! 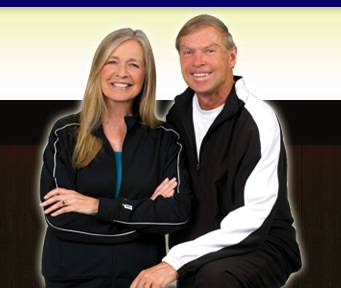 If you haven’t already ordered The Confidence Factor, go to our Products page now for details on ordering. We are looking forward to hearing from you and getting your feed back on this much awaited book. “The Confidence Factor” is here and now! Linda LeClaire demystifies how to play the game of life with purity and simplicity, empowering the reader to win at any given moment. 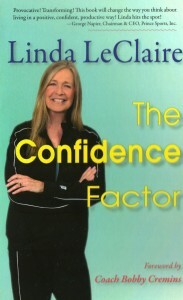 “The Confidence Factor” gifts its readers with strategies brilliantly available to the memory. A book that can be applied to sports, work and everyday life.